One of the distinguishing factors among gas logs is the wood type that the logs are molded from. Depending on the trees that are native to your region of the country, your perception of firewood can differ from those in other regions. For someone in Arizona, Juniper logs may represent a realistic fire; for someone in Maine, White Birch may provide that ambiance. By choosing a wood type reminiscent of the trees found in your area or that represent your idea of what firewood is supposed to look like, you can bring the most realistic fire to life in your hearth. No matter the wood style, gas logs are molded from real logs to provide the most realistic appearance possible. Whether you prefer a traditional, charred, or even campfire look, there are plenty of log styles to choose from to create the perfect fire in your hearth. Most popular wood type in gas log sets. Typically found throughout the US and Europe. Logs will usually have a medium brown coloration. Other coloration options include Red Oak, Golden Oak, Frosted Oak, and more. Available in traditional, charred, campfire, and split log styles. Offered by all gas log brands. Logs have a reddish-brown or medium brown coloration. Typically found along the West Coast and Rocky Mountains. Brands: GasLogGuys, Empire Comfort Systems, Hargrove, Peterson Real Fyre, and Rasmussen Pine Gas Logs. Logs have a white or off-white coloration. Typically found in the Northeast, specifically New England. Available in traditional and campfire styles. Brands: Peterson Real Fyre, Rasmussen, and Empire Comfort Systems Birch Gas Logs. Logs will have a gnarled or twisted appearance. Typically found in beach and lake areas. Available in traditional, charred, campfire styles. 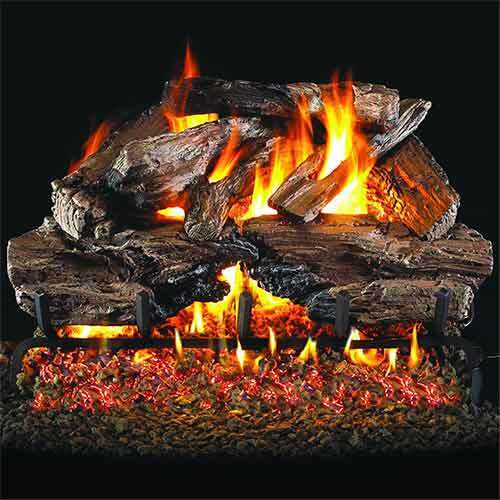 Brands: Peterson Real Fyre and Rasmussen Driftwood Gas Logs. Logs have a reddish-brown coloration with large, circular grain patterns. Typically found along the West Coast and in deserts. 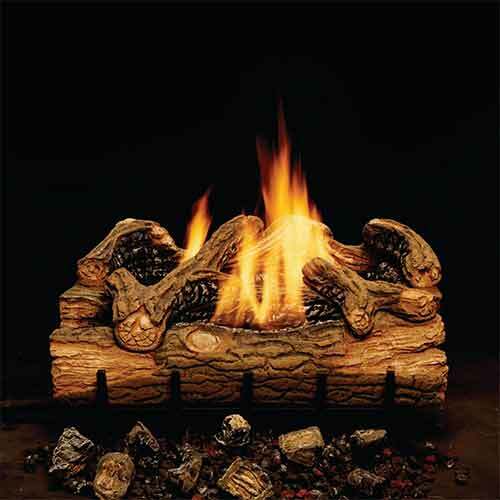 Shop Grand Canyon Juniper Gas Logs. Logs have a reddish coloration. Typically found in the Central US and East Coast. Shop Peterson Real Fyre Cedar Gas Logs. Logs have a light to medium brown coloration. May have an orange or olive hue. Shop White Mountain Hearth Sassafras Gas Logs. Logs have a light to medium brown coloration with a red tone. Typically found on the East Coast. Available in charred and campfire styles. 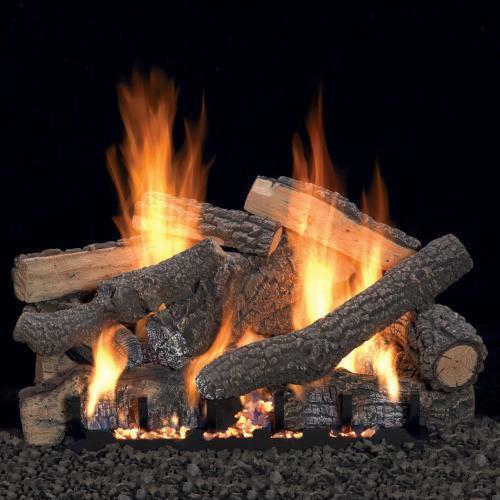 Shop Monessen Hickory Gas Logs. If you have a fireplace set up to run gas but your décor is a much more modern style, there are modern alternatives to traditional gas logs. These options use glass or shaped refractory ceramics to create a contemporary ambiance in your fireplace. Contemporary alternative to gas logs. Tempered glass reflects the flame for a radiant sparkle. Available in blacks, blues, browns, gold, clear, and multi-color colorations. Brands: Golden Blount, Peterson Real Fyre, and Rasmussen Alterna. Unique alternative to gas logs. 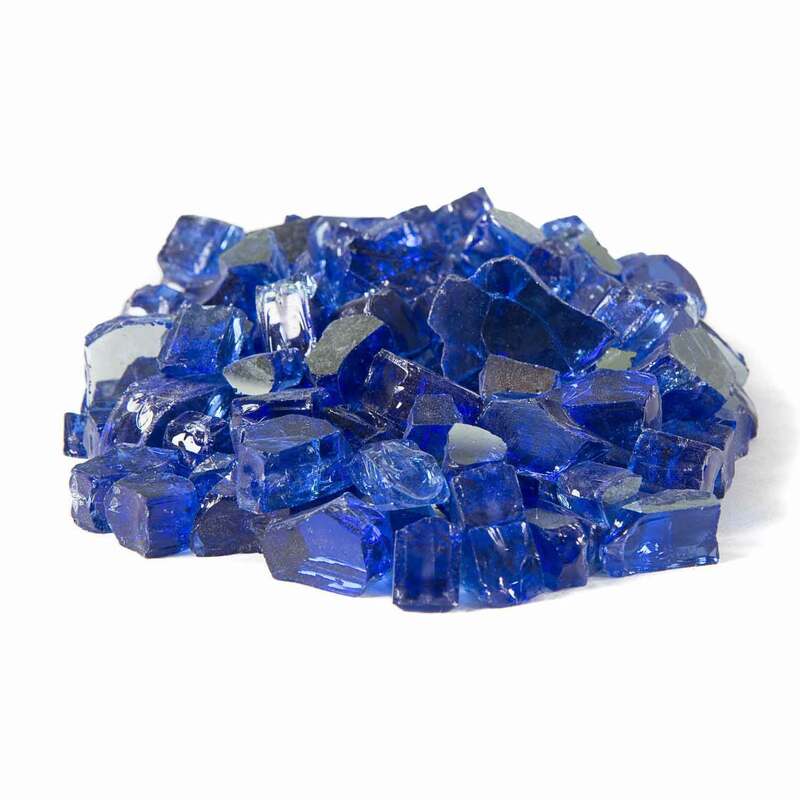 Tempered and tumbled glass formed into a gem shape. The smooth, round gem surface reflects the flame in a brilliant sparkle. Available in blacks, blues, oranges, and clear colorations. Shop Peterson Real Fyre Gem Sets. 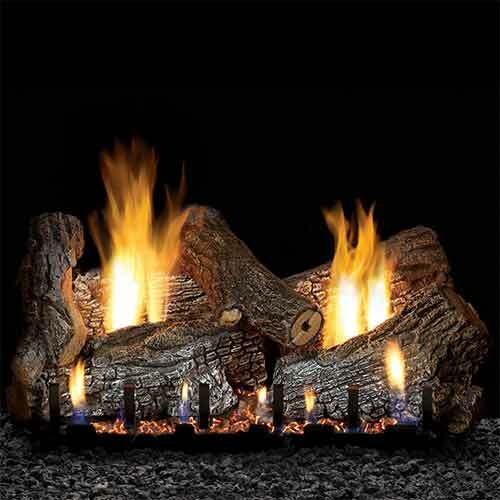 Provides a sleek and modern alternative to gas logs. Fire Balls are made from refractory ceramics with a sturdy steel reinforcement. Available in several colors, including gray, white, brown, and black. Bold and artistic alternative to gas logs. Several shapes included in the sets, including cones, squares, and pyramids. Made from refractory ceramics with a sturdy steel reinforcement. Shop Rasmussen Geo Shape Sets. Bold alternative to gas logs. Patterned from natural stones for a rustic feel. Available in several color combinations for a unique appearance in your fireplace. Shop Rasmussen Fire Stone Sets. If you need help deciding, call one of our gas log experts at 1-877-743-2269!